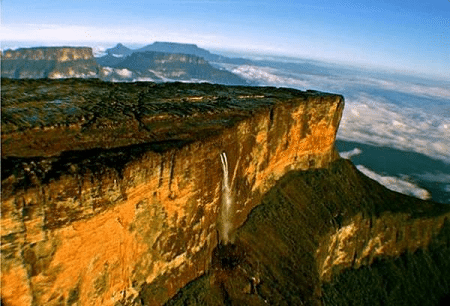 Mount Roraima forms an incredible natural wonder of geology and a type of formation popularly called a tepui. Mount Roraima also represents the highest such plateau in South America. Further, this remarkable place lists as one of the oldest geological formations on the planet, dated to roughly 2 billion years of age. The summit sits atop incredibly sheer cliffs on all sides. The location also happens to serve as the border point between three separate countries, Brazil, Guyana, and Venezuela. The first non-indigenous person to discover and describe the plateau was Sir Walter Raleigh, in 1596. Mt. Roraima forms part of the Guiana Shield system and sits within the Canaima National Park, located in Venezuela. The highest point of the plateau rises to an incredible elevation of 9,219 ft (2,810 m). Further, the sheer cliffs themselves rise about 1,300 ft (400 m) from the rest of the plateau. The incredibly unique summit itself comprises a total area of about 12 sq mi (31 sq km). The bulk of the summit is composed of sandstone and the majority of the tepui surface has a covering of a combination of landscape varieties. These include barren patches, sandy marshes, freshwater pools, and small streams which form numerous waterfalls. The amount of life atop Mount Roraima remains severely limited due to the environment. Much of what lives there appears to be unique to the plateau – for example, several varieties of pitcher plant that exist nowhere else. Algae, however, exist in relative abundance, due to the almost daily rainfall. Most other vegetation consists principally of small, bristly plants. 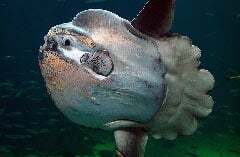 There also exists one endemic species of toad also found nowhere else on earth. This species remains under protection but appears to be often endangered by curious hikers. Sir Walter Raleigh, in 1596 was the first person to discover the mountain ? Do you mean the first european ? I believe the indigenous tribes in the area were the first people to see this natural wonder. Thank you for your comment. You are, of course, correct. That Sir Walter Raleigh was the first non-indigenous person to see it was implied in the wording of the article. But, for purposes of clarity, that has now been spelled out clearly. Thank you for bringing that issue to our attention.